Whether you are backpacking against the relentless winds of the High Sierras or just heading to a campsite a few hours north for a couples getaway in an overloaded midsize sedan, setting up a tent is the bane of a camper’s existence. On top of the universal human trait of laziness, no one likes flopping around inside a sleeping bag that’s more akin to a straight-jacket. 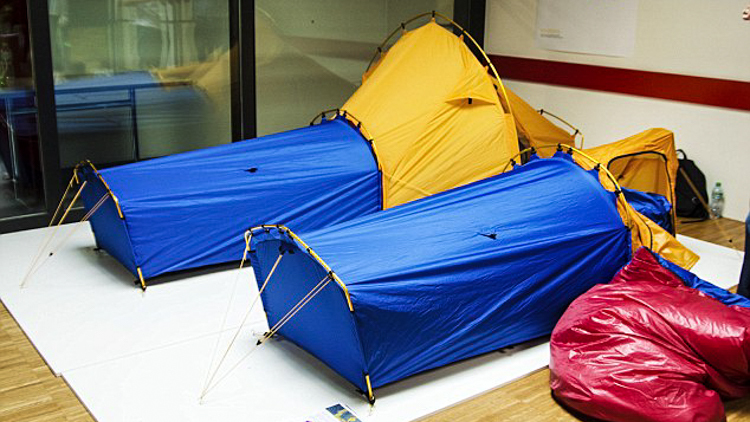 That’s why a group of Swiss scientists decided to put a modern twist on the sleeping bag by crossbreeding it with a tent. The tent was inspired by the spacesuits of astronauts and an insulation technique known in layman’s terms as “sandwich construction”. All walls—including the floor—are lined with a blanket-like insulation fabric. This allows the structure to be heated using only the camper’s body heat to handle temperatures that would normally induce hypothermia or frostbite. Tested in the alpine climate of Switzerland, the all-in-one tent can apparently handle temperatures as low as -30°C (-22°F). The design also incorporates a breathable membrane that purges moisture built up from the body during sleeping, directing it through a ventilation system away from where you’re sleeping and outside the tent. Innovators at Polarmond expected the tent would attract the wide-eyes of backcountry travellers—those who understand that simplicity often equals comfort. The minimalistic design is ultra-light weight, which will either spare unnecessary weight on your back, or grant you the breathing room to fit in an extra necessity. 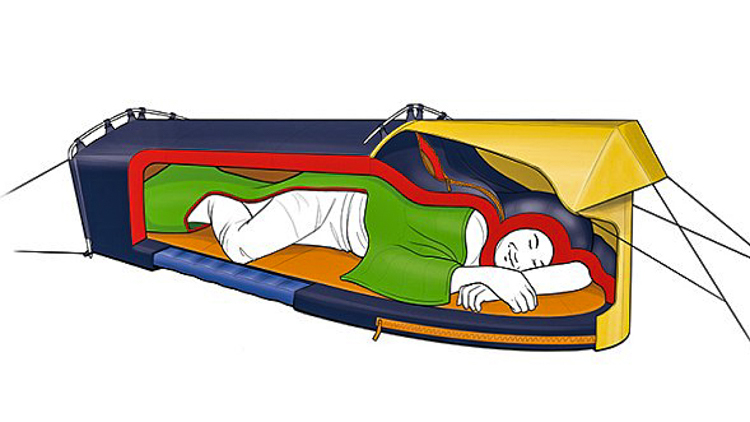 Besides revolutionizing the world of the avid backcountry traveller, this innovation could potentially provide a warm bed to the homeless and serve as emergency shelters for displaced persons. Here’s to eagerly awaiting March 2016 when the tents will go on sale to the public. The company also has plans in the works of creating a version that can hold more than one camper.